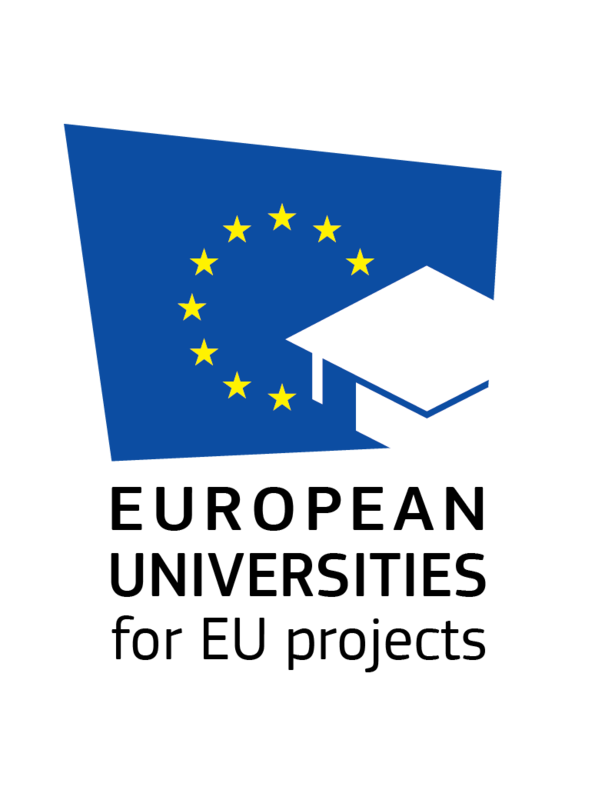 EuGen is Designer and Intermediary Organization of EU4EU (European Universities for the EU), a Europe wide initiative that connects “European Universities for the EU” national projects consortia, co-financed with Erasmus + Program KA108 and 103. 1. “European Universities for the EU” national projects assign scholarships for internships with a specific focus on EU funded projects’ planning and management, a field of expertise highly valued in the European labor market. The initiative provides highly qualified internship experiences from 2 to 6 months, enabling trainees to strengthen linguistic and computer abilities and refine their communication and interpersonal aptitudes in international environments. It promotes the development of professional skills such as project management, project design, digital skills, web design, graphic design, digital marketing and social communication, which significantly enrich curricular profiles, are easily expendable and likely to increase the career prospects of participants. 2. The aim of EU4EU is to facilitate the transition between university education and access to employment, by promoting new job opportunities for young graduates throughout Europe. The final objective of the EU4EU is to favour not only access towork, but also creation of work, through the development of synergies, collaborations and projects. The EU4EU network gathers Spanish, Croatian and Italian “European Universities for the EU” projects; more Consortia in other EU countries are in process of being built. The collaboration between the Leaders of the national Consortia, in accordance with the Erasmus + 2018 recommendation, maximizes the efficiency of national projects’ management, sharing best administrative practices, using an organization software ad hoc developed and a well-established database of host organizations. 3. The initiative allows Universities to propose internships at qualified Host Organizations, using an innovative and effective model of management, implementation and monitoring. Universities involved are able to enrich their training offer; attract foreign students; start new collaborations with European organizations and universities; expand opportunities for international growth and job creation for young professionals in the field of EU funding and projects. 4. EU4EU generates an international community that unites Universities, companies, students and young professionals across Europe. Networking is promoted through the Community’s social ecosystem, which proposes to its members a participated dialogue on the themes of the euro planning and the activation of positive relationships: partnerships, consultancies, development of European projects, opportunities for study and work abroad. Representatives of Universities from national Consortia are invited to participate to a 3-day annual transnational meeting, aiming at training and giving updates on social communication and sharing best management practices of “European Universities for the EU” projects”. Local Host Organizations in the EU4EU network and their trainees are welcome to the open event. 5. In 4 years, 750 scholarships have been granted since 2015, for internships with a focus on EU projects’ development, at Host Organizations based across Europe. National coordinators are Campus Iberus for Spain, Informo for Croatia and University Sapienza for Italy. European Projects Association (EPA) supports the initiative. Trainees can search for their favourite Host Organizations in EuGen database, which currently includes a list of approximately 500 public and private companies, distributed in Europe. Among them Universities, Research Centers, Public Institutions and Local Authorities, SMEs and Chamber of Commerce, NGOs and non-profit organizations. Participant organizations are selected, monitored and evaluated before, during and after the mobilities. 6.Find info to become a Host Organization, write to info@eu-gen.org and follow the updates on EuGen facebook page.